Shmuel (Shmulik) Rifman, the Israeli mayor who became a close friend to many Jews and non-Jews in Denver for nearly two decades, passed away Jan. 30, 2017 in Israel at the age of 68, the Intermountain Jewish News learned this week. Rifman, who spent 26 years as the mayor of the Ramat HaNegev Regional Council in the Negev — a multi-town district with a multidimensional partnership with JEWISHcolorado since 1999 — died after a long illness. Funeral services and burial took place Wednesday, Feb. 1, at the Kibbutz Revivim cemetery. JEWISHcolorado announced this week that that it would hold a memorial service for Rifman on Monday, Feb. 6, 5:30 p.m., at Temple Emanuel, 51 Grape St.
Born in Bnei Brak near Tel Aviv, Rifman lived in Kibbutz Revivim since the age of 12. A captain in the Israel Defense Forces, he commanded units in the Nachal Paratroopers and 50th Battalion. Rifman spent much of his life as a determined developer of Israel’s Negev region, a task which was central to his vision of Zionism. He helped create four villages within the Ramat Hanegev region and was the founder of several trailblazing projects that reflected his people-oriented approach to political leadership — the Ayalim Student Village, the Shanti House for at-risk youth, the Spirit of the Desert organization for those struggling with addiction, and several agricultural and solar energy developments. Caring for and advancing the living conditions of his region’s Bedouin population was another keystone of Rifman’s political vision. In his most recent interview with the IJN, in February, 2016, he discussed at length his work to gain official government recognition for four Bedouin communities in Ramat HaNegev, which he considered crucial to their ability to obtain such improvements as electricity, sewage, roads, sanitation and adequate education. He spoke of his years-long efforts to gain the trust of the Bedouin leadership and expressed pride that he had eventually obtained it. While acknowledging that the Israeli bureaucracy would likely make the goal of recognition difficult, he was characteristically optimistic. A close friend of former Prime Minister Ariel Sharon and former President Shimon Peres — who both predeceased him — Rifman also served in the nationally prominent position of chairman of the Association of Regional Councils. Thoughtful, brusque and gregarious at once, Rifman was an accomplished chef who was happy to prepare Middle Eastern cuisine for others, ranging from elementary students in his region, to government leaders and even prime ministers. A collection of his recipes was published several years ago, in Hebrew and Yiddish, to positive reviews. 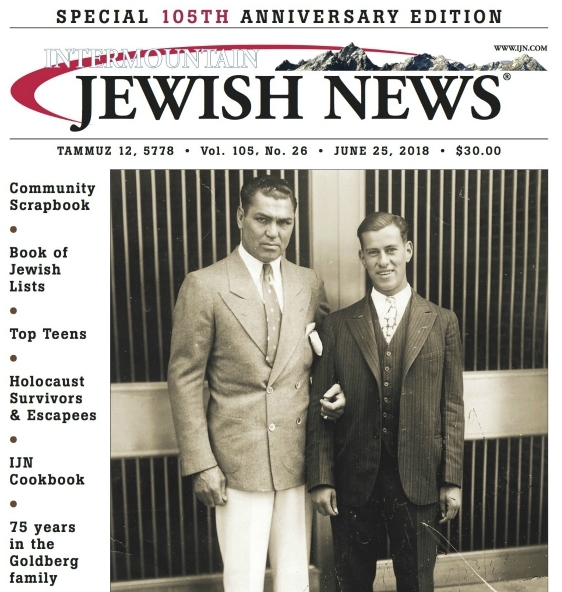 In a statement issued this week, JEWISHcolorado — the mayor’s primary conduit to Colorado’s Jewish community and political leadership — described Rifman as “a modest public servant, committed friend and devoted family man. “Shmulik has a special connection with Colorado and developed deep relationships with many members our community. Rifman is survived by his wife, Talia; children Aya, On and Elul; and six grandchildren.